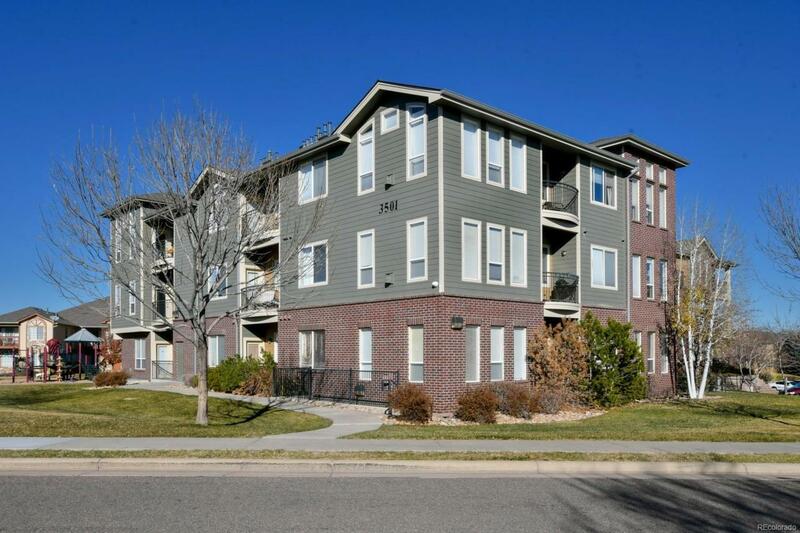 Rare 3 bed, 2 bath condo in a secure building with elevator access. The living room is light and bright and features a gas log fireplace. Community pool with clubhouse and fitness center. Attached underground reserved parking. Near new light rail station. Close to shopping, restaurants and Grandview Ponds Open Space. Come take a look at this great unit!